The highly anticipated Suzuki GSX-S1000 street sports motorcycle has now arrived into dealerships across the country. From the DNA of a supersport legend comes two all-new pure sport roadsters. The GSX-S1000 and GSX-S1000F have been built for real-world excitement. The latest version of Suzuki's stylish executive scooter - the Burgman 400 - is now arriving at Suzuki Australia dealerships. The latest version of Suzuki's best-selling, go-anywhere adventure tourer, the V-Strom 650, has touched down in Australia. 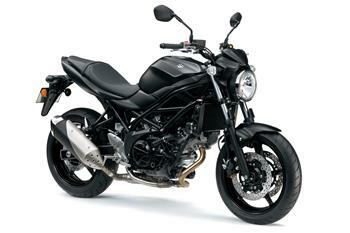 Suzuki is rolling back the retail prices on two of its most popular road motorcycles, the GS500 and GS500F. Now available in Australia is Suzuki's latest touring addition to cruise on in to its best-selling Boulevard range, the Boulevard C90T. Suzuki Motorcycles has an exciting new touring addition to cruise on in to its best-selling Boulevard range the Boulevard C90T. The all-new 2012 model of Suzuki's bestselling, go-anywhere adventure tourer, the V-Strom 650 has touched down in Australia. Suzuki Motorcycles has revealed the all-new 2012 model of its bestselling, go-anywhere adventure tourer, the V-Strom 650 ABS. The 2011 models of Suzuki's dual-purpose V-Strom 650 and ABS-equipped V-Strom 650A are now available in Australia. The 2011 Suzuki Boulevard C50 cruiser is now available in Australia, offering outstanding cruiser styling and Suzuki's renowned V-Twin powerplant. 1 January and 31 March 2010. Suzuki is spreading the Christmas cheer with a generous $500\* factory bonus on any new GS500F purchased and delivered between 14 November 2009 and the end of the year. Suzuki's V-Strom 1000, V-Strom 650 and V-Strom 650 ABS are the ultimate all-rounders, combining proven V-Twin performance with the practicality of a tourer.